You can create a survey and distribute it through the Intercom messenger so that entire survey will be conducted inside the chat bubble. It allows you to survey your customers inside your app and keep them engaged throughout the process. Entire survey right inside your Intercom messenger. No redirect to a landing page. You can put your questions in a logical order to ask different follow-up questions based on responses. It works like any other Intercom in-app message, so you can target surveys based on Intercom data you have on your Customers. Target based on your data. Tags - user or company. Attributes - user or company. Open a new conversation based on survey responses. Integrations > Intercom and click Authorize button. ❗If you have authorized the integration in the past, but this is the first time you're setting up the messenger app, you may need to reauthorize it. Just click Unauthorize and then Authorize again - your current settings and surveys will stay intact. How to create a survey for the messenger? 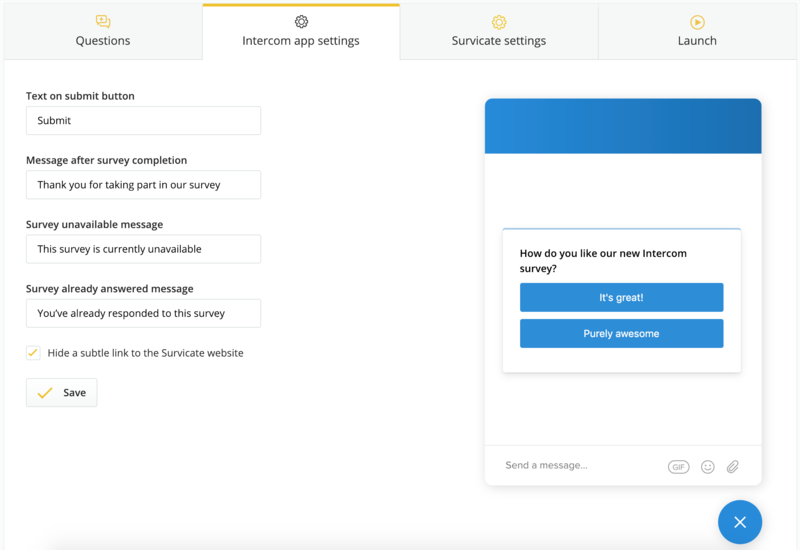 To send a survey with auto or manual message just create your message in Intercom and click on the➕ that appears on the left-hand side of the message. 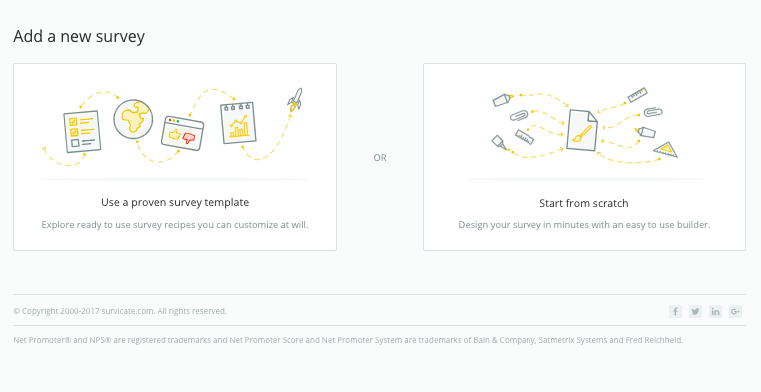 Select Insert app, choose Customer surveys - Survicate from the list and pick the survey you want to embed inside your message. ❗️The survey won't be displayed fully if you distribute it as a snippet! You need to choose show the full message option to make it work. If you want to send a survey to users or leads you chat with, you can do that by clicking on Add a messenger app in the bottom-left corner of your Inbox, choose Customer surveys - Survicate and pick a survey you want to send during during a conversation.